The changing status of the Adelaide Film Festival. 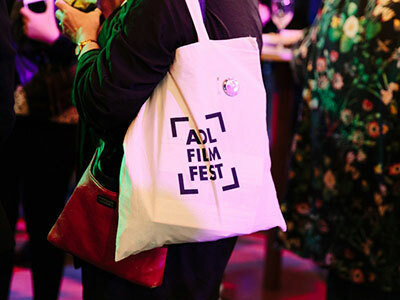 In the past week we saw the announcement that Amanda Duthie, the CEO and Director of the Adelaide Film Festival (AFF), would leave following the upcoming festival to take up a position with the South Australian Film Corporation (SAFC). The media release sneakily dropped another bomb, however, in its statement that the biennial festival would be searching for a new director in time for its next iteration in 2020 (my italics). That is to say, the festival which has been held annually for the past two years (or four years if we count the short ‘Rogue’ event in 2016), would now revert to its former status of rearing its head only once every 24 months. A little history is in order here. AFF was re-instituted in 2002 following a campaign promise by ALP leader, Mike Rann. Rann was a keen cinephile, who saw film as a way of promoting the state and putting his distinctive signature on his new administration. Like many of his reforms, it was a cautious one. The festival was to alternate with the biennial Arts Festival in February. Katrina Sedgwick, who was appointed director, jobshared with associate director, Adele Hann. Sedgwick was starting a family and the part-time status suited her. Rann had stated the ambition of making AFF the biggest film festival in the southern hemisphere, but this was never going to happen. 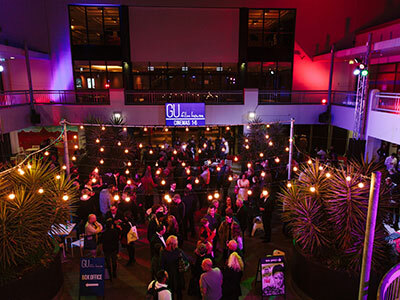 The festival quickly established a national reputation for innovation, instituting an investment fund (whose films won AFI Best Film Awards in three consecutive years), a Feature Film competition, and the Hive workshop to generate productions for the ABC by artists from other art forms. But then things changed in Adelaide’s “Mad March.” The Fringe Festival became annual in 2007, and later expanded from three weeks to four. The main Festival of Arts was made annual in 2012, with the result that in 2013 AFF moved its dates from February to October. AFF had become an anomaly as the only festival in the Festival State that ran only every second year. Katrina Sedgwick left the festival following its 2011 edition to take up a position with the ABC. She was replaced by Amanda Duthie, who had come from the ABC. Duthie, like most of those involved with the festival, chafed under the problems that stemmed from running a festival only once every two years. A start-up festival that runs so infrequently finds immense difficulties in building an audience. There are also problems in retaining high quality staff who are laid off between festivals, and in getting the attention of sales agents and distributors. In 2016 Duthie instituted a short ‘Rogue’ event featuring the premiere of Ali’s Wedding, in order to get some traction with local audiences around the October date. In 2017 it was announced that the festival would run consecutively in that year and in 2018—which, ominously, was an election year. The ALP went into the election making a campaign promise to make the festival annual on a permanent basis. It lost. The new Liberal government has since transferred oversight of film institutions such as AFF and SAFC away from ArtsSA to the Ministry of Industry and Skills. The decision to return the festival to biennial status is the perfect political disaster, as each side of politics can blame the other. The former government elected to bring forward the 2019 Adelaide Film Festival to occur in 2018. In the absence of this additional funding, the next Adelaide Film Festival would be in 2021. In other words, the Liberals can point out that the ALP declined to allot extra money to make the festival annual, merely bringing forward the expenditure for a single festival on its Arts budget. The ALP can point out, with equal truth, that the Liberals have walked away from any interest in maintaining the festival as an annual event. What is clear is the victims of this will be the audiences and the staff of the festival. There is, of course, a moral to this story—don’t rely on government funding. This is more easily said than done in a city such as Adelaide that lacks the critical population mass of Melbourne and Sydney, and suffers under the additional disadvantages of only having a single Murdoch tabloid newspaper, and a CBD that struggles to retain people after 6pm. So, this year’s AFF will be our last before a long drought until October 2020. The festival desperately needs to establish a higher profile in the city, but it will be difficult to do this given that existing staff contracts will expire, and it is unclear exactly when a new director will be appointed. Whoever does get the job will be faced with reinventing the festival from the ground up. The battles to restore the festival’s annual status will begin again, and the new director will have to find ways to build the box office while cutting costs. Some public debate on all this would be welcome. The festival’s strongest selling point thus far has been that it has been supportive of local film production. While this is true, it needs to be augmented by strategies that build audiences and revenues. Support of filmmakers is a source of expenditure, not of income. It seems a matter of some urgency that the festival should incorporate a debate on its own future. Personally, I would like to see the festival build some stronger links with organisations including the Media Resource Centre (MRC) which runs year-round exhibition programs such as the Adelaide Cinematheque and the Seniors on Screens programs. It is also notable that the OzAsia festival runs its film program (curated by the MRC) at virtually the same time as AFF, though there have been no links forged between the two organisations. AFF’s 2018 edition runs from October 10 to 21. And then the dry spell begins. It seems a matter of some urgency that the festival should incorporate a debate on its own future. Mike Walsh was formerly Associate Professor in Screen and Media at Flinders University. He has also worked for AFF since 2002 as programme consultant and writer of program notes. Published September 23, 2018. © Mike Walsh 2018.